Just as people can benefit from herbal supplements, so can horses. Horse owners can grow their own herbs and feed them to their horses themselves, plant herbs as part of a pasture mix for grazing. They can even take advantage of some of the many equine herbal brands that are on the market and available at feed stores and through online sites. 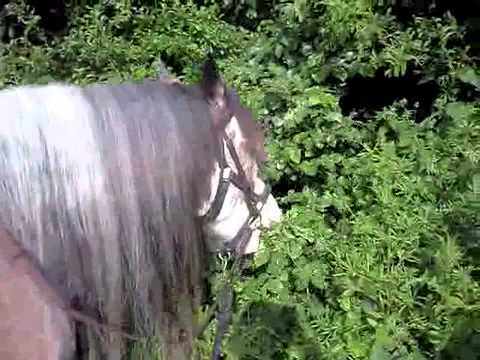 While horses love to munch fresh herbs straight from the garden, commercial supplements have some advantages. There is only one brand (Animal Kingdom Organics) that comes in pellets that can be easily added to feed, the dosages are standardized making over medication less likely, and there is little chance of feeding the wrong kind of herb to the horse and causing an adverse reaction ( as long as you read and follow the directions on the package). Bitter herbs help to promote digestion primarily by stimulating liver function. Digestive tonics ease tension in the digestive tract allowing the horse to better utilize its feed. Alternative herbs help purify the blood by increasing the elimination of waste through increased function of the kidneys, spleen and bowels. [hilight color=”F3FC68″]Horses are natural herbivores[/hilight], and they crave a variety of plants for treating illness as well as for getting the minerals and vitamins that might be lacking in their usual feed source. Herbs that have a relaxing effect on the digestive tract of horses as they do for humans. These herbs can also be incorporated into salt licks. Can stimulate a horses appetite and has powerful anti-microbial functions that are useful for fighting and preventing infections. Conditions coat and hoof, but it should not be used with pregnant mares because it stimulates the uterus. 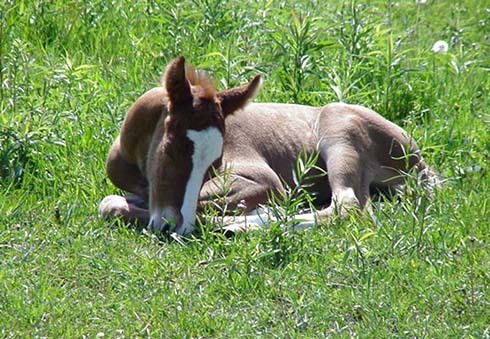 It is useful, however, for mares that are nursing because it increases and eases milk flow. Are high in minerals, especially iron, calcium and potassium making this herb useful in treatment of anemia. Is a naturally sweet herb that has very few calories. It assists in restoring blood sugar levels and can be a useful feed supplement for horses that like a sweet feed but do not need any extra calories. These are only a few of the many herbal treatments that can be used with horses. The health of your horse can be greatly improved by adding a few of these natural remedies to its usual feed regime. Herbal supplements are a safe and natural way of improving your horse’s health. By adding these herbs back into your horse’s diet, you will have a happier and healthier horse. Besides nutritional supplements for horses, there are also natural: hoof oils, fly sprays, insect repellents for barns, and high quality, unrefined salt licks for managing your horse’s other health needs without the toxic side effects of synthetic products. Do horses really need herbal supplements when you are talking about an animal that eats off the land all day long and they are eating the grass that grows out of the dirt that holds all the nutrients to the earth? Just something I was thinking about. You did a great job on your post and I hope you will continue to post about horses, I love them. I don’t know much about raising or training horses. So I just thought all horse owners fed their horses well. I just assumed that all owners fed their horses natural vegetables and hay. But after reading this article, I am getting the impression that many people skimp on the quality of the nutrition for their horses. That is kind of cruel, don’t you think? This is amazing, there isn’t anything out there these days that doesn’t or can’t benefit from herbal supplements. I realize all the toxins we inadvertently put in our body’s and how hard we humans try to do the right thing by eating better types of foods. It’s the least we can do to help our 4 legged friends… I mean really, they count on us. It’s not like they can run to the store and buy what they want or hop the fence and graze on the plants that they need. It’s a big responsibility and one that we should really take seriously. Thanks for doing it organic. My boys will love you! Horses don’t ask much of their human caretakers. They accept whatever conditions we provide and seem to be content with kindness, adequate food, water, stabling and a loving pat now and then. They are indeed noble creatures to put up with us! I can only hope that their human owners have kindness enough to give their horses the best nutrition so they remain healthy and live a long life. Horses get enough inhumane treatment from senseless people. Here in South Florida, there was a spree of horse mutilations throughout the rural areas. Nobody knows the motivation behind these crimes, but they sure are heart breaking. I like to see a company selling nutritious supplements that improve the health of horses. In order to get the best performance possible out of a horse, proper nutrition is absolutely essential. Whether the horse is training for competitive riding or just leisure riding, good nutrition helps create and maintain a healthy horse. I wondered: what basic things must each horse owner take into account to help create a healthy diet? And then lo and behold, I found this site with these products. Horses don’t raise a lot of their human caretakers. They settle for no matter conditions we offer and appear to be content with kindness, adequate food, water, stabling and a soft on pat now and so. They’re indeed noble creatures to place up with us! I will solely hope that their human homeowners have kindness enough to provide their horses the simplest nutrition so that they stay healthy and live a long life.